Savings refers to that part of disposable income, which is not used in consumption, i.e. whatever is remained in the hands of a person, after paying all the expenses. On the other end, Investment is the act of investing the saved money into financial products, with a view of earning profits. It alludes to the increase in capital stock. For an enterprise, investment connotes the production of new capital goods, such as plant and machinery or change in inventories. Many people juxtapose savings for investment, which is totally incorrect. Saving is a factor that decides the level of investment made. After a deep research, we have compiled the important differences between savings and investment, in this article, have a look. Meaning Savings represents that part of the person's income which is not used for consumption. Investment refers to the process of investing funds in capital assets, with a view to generate returns. Purpose Savings are made to fulfill short term or urgent requirements. Investment is made to provide returns and help in capital formation. Savings are defined as the part of consumer’s disposable income which is not used for current consumption, rather kept aside for future use. It is made to meet the unexpected situations or emergency requirements. It makes a person financially strong and secure. There are several ways through which a person can save money like, accumulating it in the form of cash holdings, or depositing it into the savings account, pension account or in any investment fund. The stepping stone of wealth formation is savings, which is decided by a person’s level of income. The higher the income of a person, the higher is his capacity to save, because the rise in income increases the propensity to save and decreases the propensity to consume. It can also be said that it is not a person’s ability to save that encourages him to save money, but the willingness to save forces him to do so. The willingness depends on some factors like his concern or financial background, etc. The process of investing something is known as an Investment. It could be anything, i.e. money, time, efforts or other resources that you exchange to earn returns in future. When you purchase an asset with the hope that it will grow and give good returns in the coming years, it is an investment. Present consumption should be foregone to obtain higher returns later. The ultimate purpose that works behind the investment is the creation of wealth which can be in the form of appreciation in capital, interest earnings, dividend income, rental income. Investment can be made in different investment vehicles like stocks, bonds, mutual funds, commodities, options, currency, deposit account or any other securities or assets. As investment always comes with a risk of losing money, but it is also true that you can reap more money with the same investment vehicle. It has a productive nature; that helps in the economic growth of the country. Savings means to set aside a part of your income for future use. 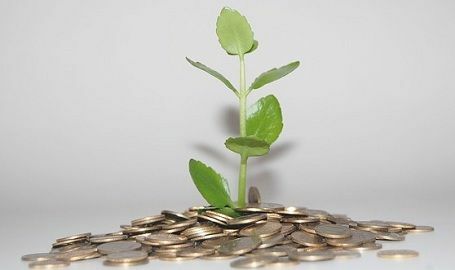 Investment is defined as the act of putting funds into productive uses, i.e. investing in such investment vehicles which can reap money over time. People save money, to fulfil their unexpected expenses or urgent money requirements. Conversely, investments are made to generate returns over the period that can help in capital formation. With an investment, there is always a risk of losing money. Unlike savings, where the no or comparatively fewer chances of losing the hard-earned money. Undoubtedly, the investment provides higher returns than savings, as there is a nominal rate of interest on savings. However, the investments can earn money more than the invested amount, if invested wisely. You can have access to your savings, anytime because they are highly liquid, but in the case of investment you cannot have easy access to money because the process of selling the investments takes some time. Savings, alone cannot constitute to the increase in wealth, because it can only accumulate funds. There must be the mobilisation of savings, i.e. to put the savings into productive uses. There are a number of ways of channelizing savings, one of them is an investment, where you can find limitless options to invest your earnings. Although risk and returns are always associated with it, but when there is no risk, there is no profit. As the excess of everything is bad, so as in the case of saving and investment, i.e. it is important for an economy that the savings and investment should be done in the correct proportion. The excess of savings over investment will lead to unemployment, and if it is revered, then inflation may occur.